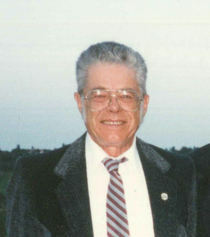 Obituary for Edgar Welldell Foster | Westlock Funeral Home & Crematorium Ltd.
On December 23rd, 2018 Edgar Foster of Newbrook, AB passed away at the age of 84 years. He is survived by his family members. A Memorial Service will be held on Saturday, January 26th, 2019 at 2:00 p.m. in the Newbrook Community Hall with Pastor Marjorie Steele officiating.